Why do we wear make-up ? Why do we feel the need to paint our faces with colors and then start our day or go out in the public? 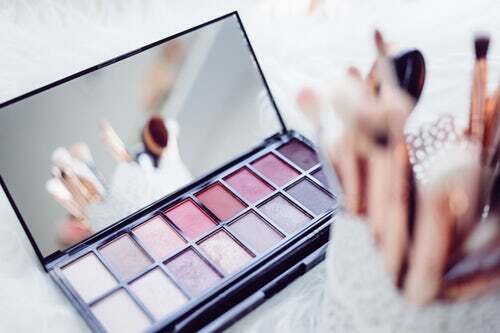 Makeup industry has become 40 billion industry nowadays. Makeup has been used for centuries. An archaeologist has discovered evidence of body painting over 50,000 years ago in South Africa so that means body modification is not a new thing. People have been wearing make-up for a long time. Nowadays makeup plays an important role for both men and women. The importance of cosmetics has increased as many people want to stay young and attractive. Their appearance is their most valuable asset these days. Wearing makeup can enhance your appearance. Moisturizer and Primer. Great makeup begins with great skincare. We all know that moisturizer is really important especially if your skin is dry. Foundation is a magical skin-colored makeup product which helps to even out the skin tone, covers blemishes and provides a flawless finish. It comes in various forms such as cream, liquid, mousse, and powder based. What you need to know while buying a foundation is, your skin type and tone and go for the one which is suitable for both and, of course, we also need other makeup items to get a perfect and complete look. A good cleansing routine including regular exfoliation is always advisable and essential if you are a regular makeup wearer to stop any skin problems such as spots caused by clogged pores. Remember to buy good and quality products for your skin.